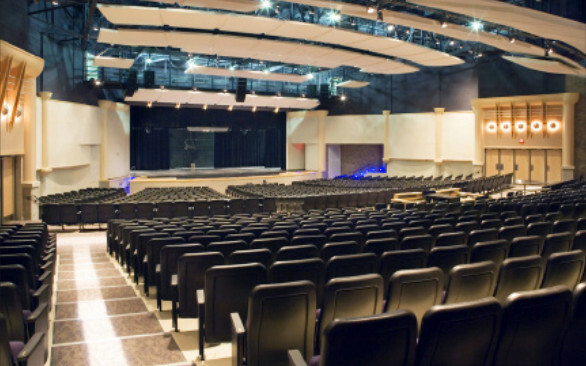 Acoustics By Design was hired by GMB Architects and Engineers to consult on comprehensive room acoustics, mechanical noise control, and audio-visual design for the auditorium at East Kentwood High School. 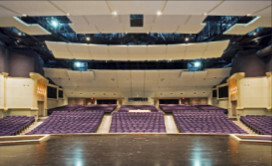 The 1600-seat auditorium is used for performing arts events as well as community activities. 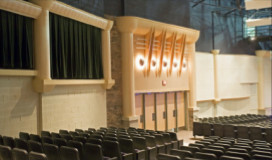 ABD used a 3D computer modeling program called EASE to predict the acoustical attributes of the space. We then designed a complete audio-visual and theatrical lighting systems to work in tandem with the room’s acoustical features.